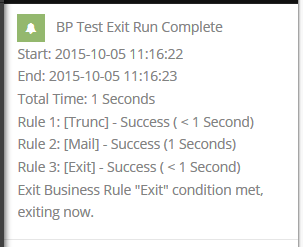 Documentation and SupportReleases 2015-11-03 ReleaseA notification has been added when an Exit rule exits a business process. Prev: You can now open the configuration of a view without opening the view. Next: When you start checking rows, hover over text will remind you how many rows you currently have selected.